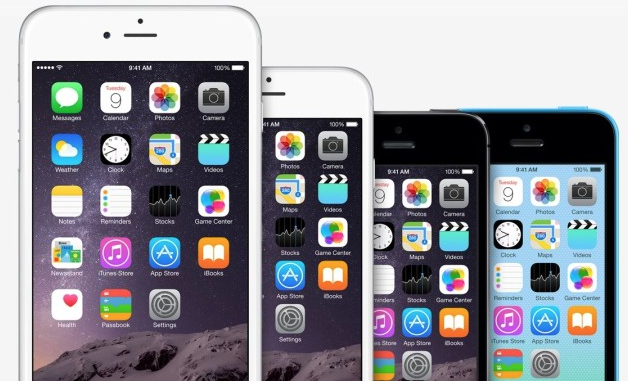 Apple is going big with the iPhone this year. Two million photo-aligned pixels big! 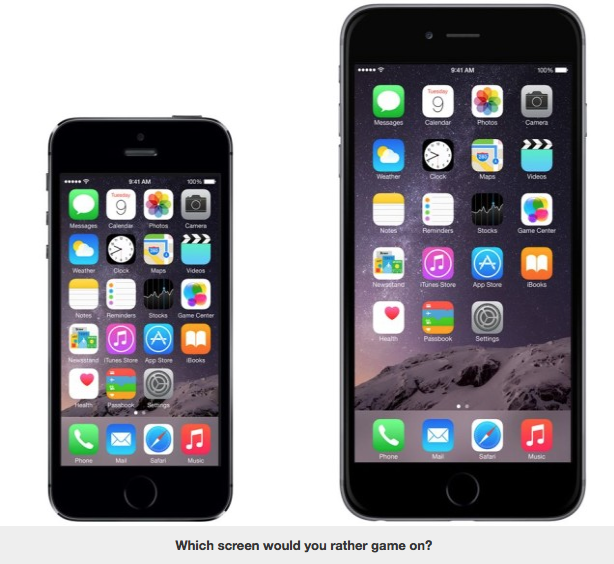 The sight of Apple’s new mammoth iPhone 6 Plus might inspire a lot of witty genitalia jokes thanks to its 5.5-inch display, but Apple will be laughing all the way to the bank, as the iPhone 6 Plus has the potential to be Apple’s biggest seller of the year, and I’m not talking screen size. Yes, the iPhone 6 Plus has display so huge you’ll need to buy an entirely new wardrobe to fit it in your clothes, but it also packs all-new features we weren’t expecting, some of which didn’t even make it onto the iPhone 6. Despite costing an extra $100, the iPhone 6 Plus is will hit shelves right as the phablet fad is booming, and its armed with features that make it not just bigger than the iPhone 6, but better too. Tim Cook wasn’t been metaphoric when he said Apple was releasing the biggest advancement in iPhone history. The iPhone 6 Plus features a massive 5.5-inch display, that’s isn’t just bigger that the iPhone 6, but features a higher pixel count of 401ppi vs 326ppi. The beast has 2 MILLION pixels. 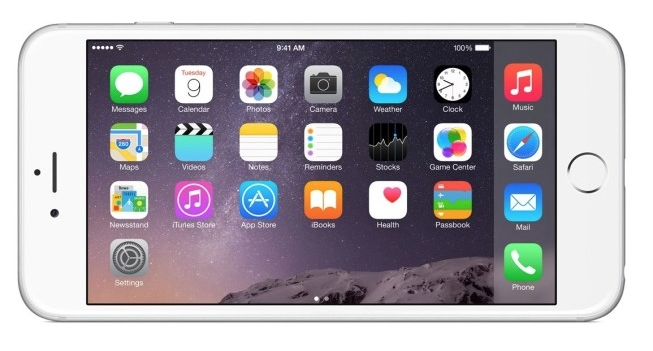 That’s 183% more pixels than the puny iPhone 5s. It’s like a TV in your pocket, that’s nearly just as hard to grip, but will immerse you in games, movies, websites, and apps like no iPhone before it. And not only is the 6 Plus display bigger, its “ion-strengthened glass” is more durable than the iPhone 6. The iPhone 6 Plus solves many users’ need for a tablet, boasting a faster CPU than the iPad Air or iPad Mini in a form factor that straddles the line between the iPad mini and iPhone 6. Some of the exclusive iPad features, like the split keyboard, are being brought over to the 6 Plus, along with gorgeous horizontal apps and a horizontal home screen. The iPad Mini’s screen is tiny, but it’s still bigger than many of the paperback novels I carry with me to the coffee shop, and lengthy reading on an iPhone 5s is painful. The iPhone 6 Plus on the other hand, could be the best reading device Apple’s ever made, and that’s to say nothing about gaming. The huge display and faster CPU will provide the next boost mobile gaming needs, and could double as VR headset if you’ve got some cardboard. Apple didn’t comment on how many 6 Plus will be available at launch, but production reports indicate they could be in low supply for the first few months. Adding to Apple’s demand problems is the surging popularity of the phablets category worldwide. Sales of 5.5-inch smartphones are projected to jump from 175 million in 2014 to 318 by the end of 2015. Smartphones with huge screens might only be a fad, but it’s one Apple stands to make a ton of money off of, as nearly half of our readers surveyed said they plan to buy Apple’s phablet this year. 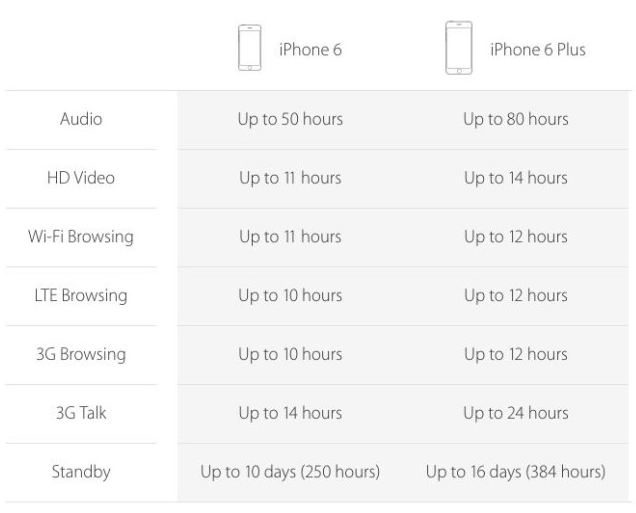 There isn’t a big difference between battery life in iPhone 6 and 5s, but the iPhone 6 Plus comes with a significant boost, getting 10 hours more 3G talk time over the iPhone 6, and 30 hours more life when playing audio. Apple users who are tired of being a lonely wallhugger should definitely be tempted by the 6 Plus’ extra juice. Optical image stabilization may not sound like a huge feature, but it will be one of the biggest specs many iPhone 6 buyers stare at before making up their purchase. The upgraded camera is the most appealing hardware upgrades on the iPhone 6 Plus other than increased resolution, but will it be enough to convince iPhotogs to find a way to shove it their pockets? The thought of Apple adding an ugly “one-handed mode” like Samsung’s horrific creation had a lot of Apple fans apprehensive, but Apple’s solution is actually quite brilliant. Rather than blacking out areas of the screen, a simple double-tap to the Touch ID sensor will shrink everything from the top half of the iPhone screen down to the bottom, within thumb’s reach. The horizontal keyboard picks up dedicated keys for cut, copy and paste, and expanded horizontal apps offer up more content than the iPhone 6. There’s even a horizontal app tray too. Don’t think you’ll be able to shove a iPhone 6 Plus into your jeans? Matthew McCounghay is the hottest thing in Hollywood and the dude swears by the fanny pack. 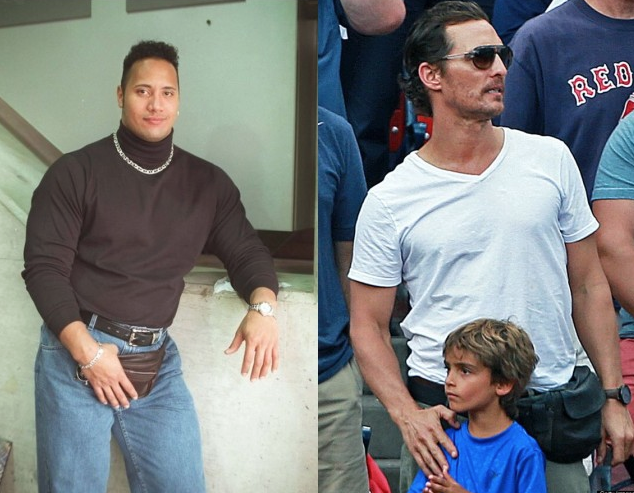 “I’m not afraid of the fanny pack. You gotta kinda put it on the side to make it look a little not as nerdy, but still, practicality wins out,” says man who was just nominated for an Oscar and an Emmy in the same year. The Rock gets down with the fanny too, although no one told him the Steve Jobs turtle neck and silver chain are optional.